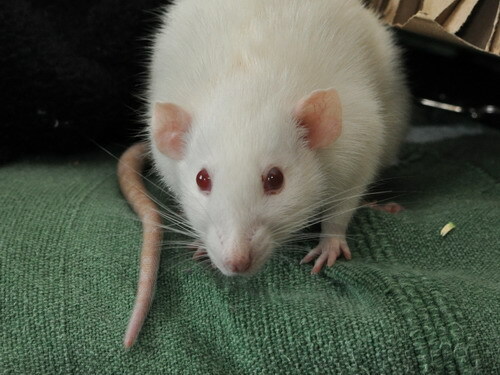 Temperament: Loves people, sociable, forward, gentle and sweet. 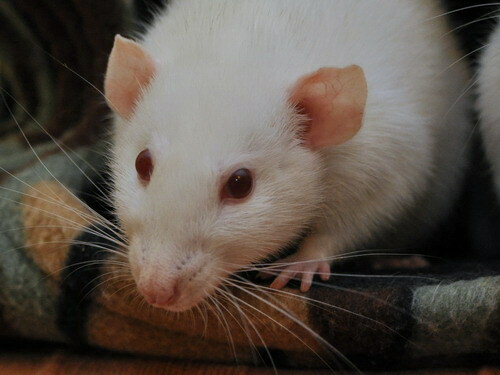 Spayed in March 2013 as she was picking fights with her cagemates. 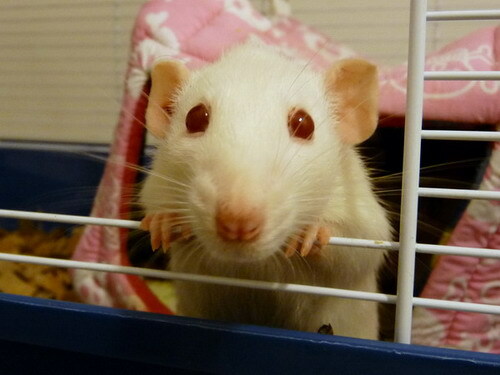 10/08/2013: Maven has always been quite a fragile little girl, with on/off resp issues and several UTIs. 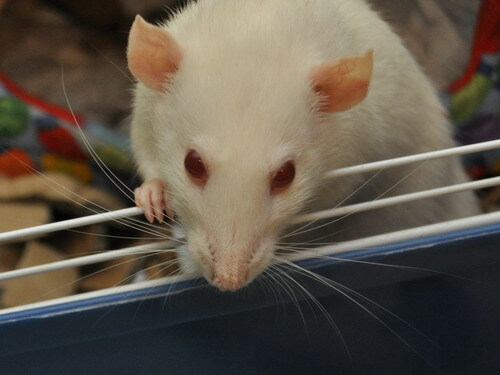 Over the summer she went noticably quieter and calmer, but didn't display signs of illness until late July when she developed an aggressive resp infection, lost lots of weight and her chest became almost 'sunken' in. 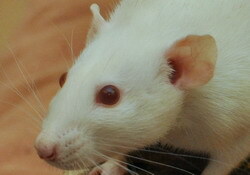 When she didn't respond to antibiotics or heart medication, I decided to let her go. 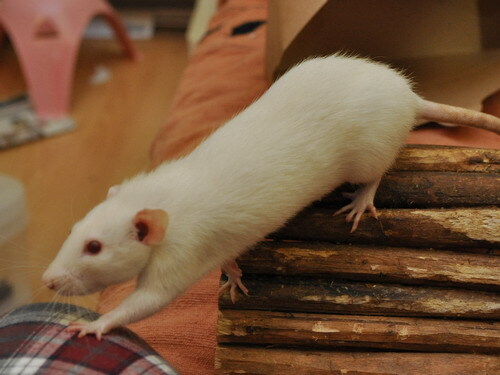 My poor girl, I'm so sorry - I wish you had gotten to stay with us for much longer than this. 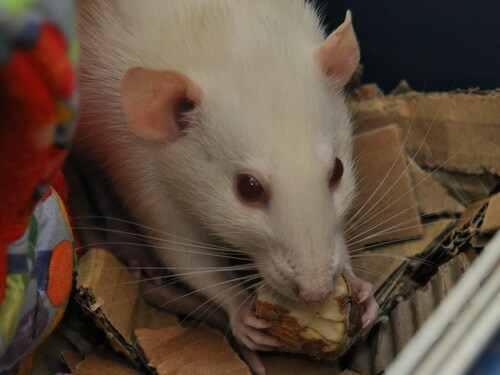 Maven and five younger bucks were found in a cardboard box on the street and subsequently taken in for fostering by Shelley at Aeris Rats. 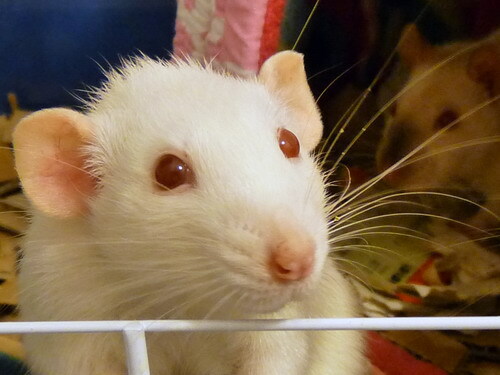 Astonishingly and very happily, Maven turned out not to be pregnant and came to live with us when her quarantine period was up. 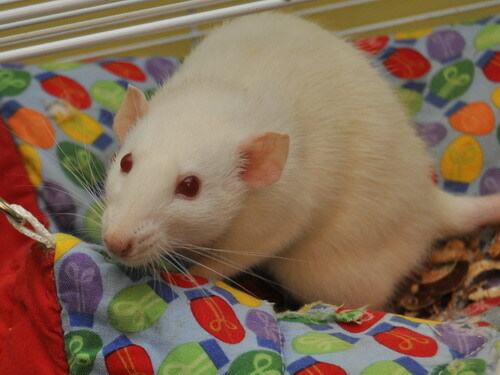 She is an extremely friendly and sweet little girl with a very endearing personality. 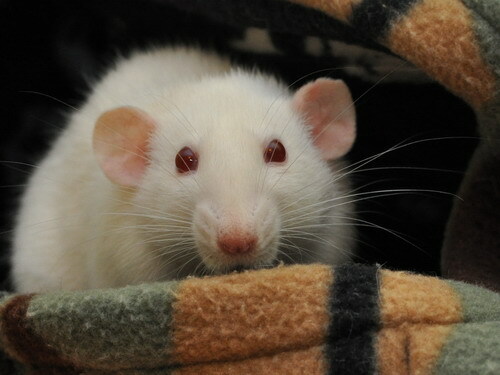 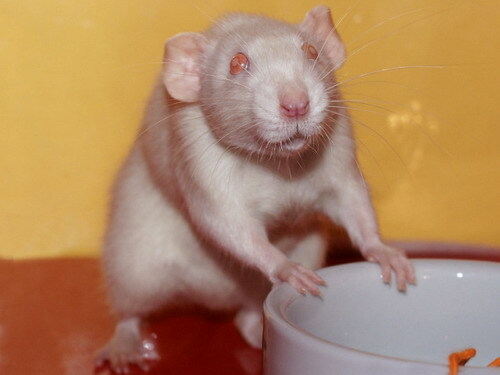 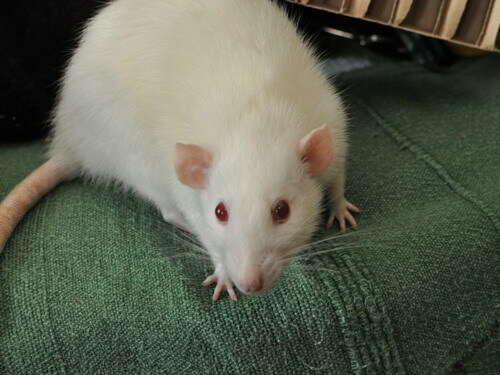 She is very hit-and-miss with her body language and interaction skills (it is possible she may have been kept alone previously) and despite trying my hardest with intros, she didn't get along with any of my adult rats. 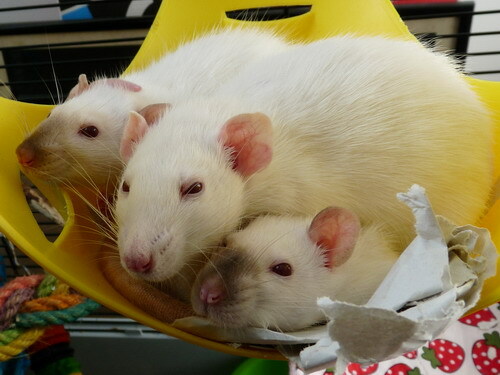 When we got Fitz, I also collected a couple of younger girls and Maven took to them instantly and grooming them straight away, making lovely nests for them and generally fussing them. 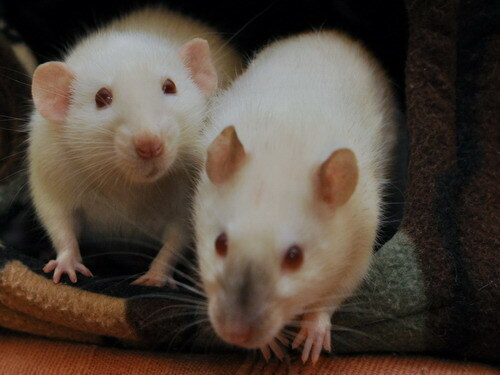 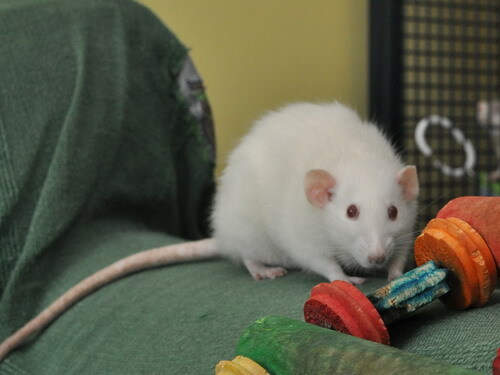 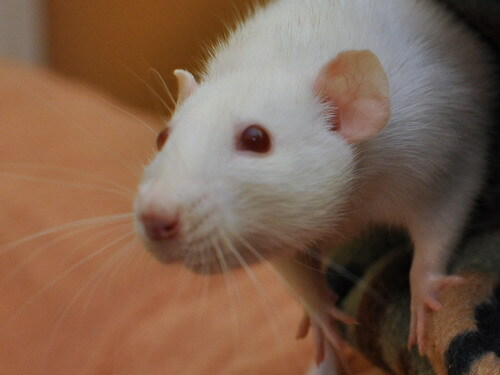 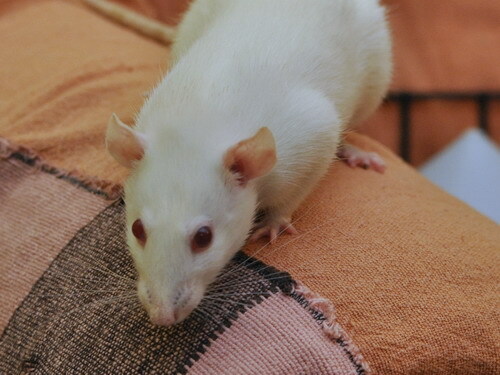 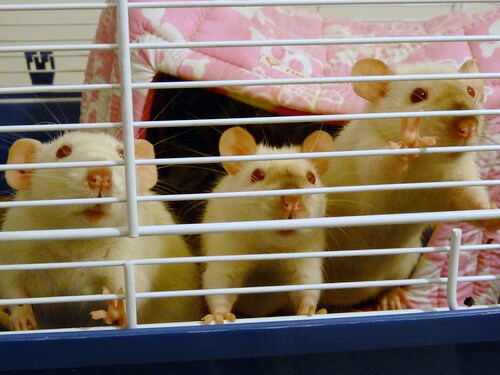 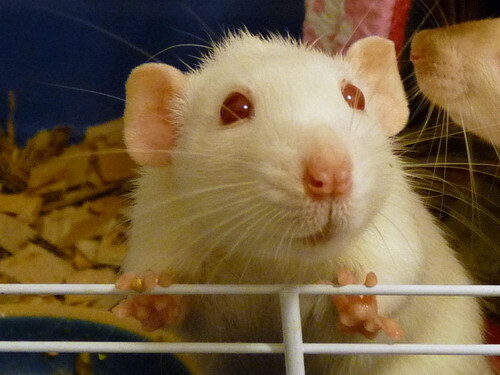 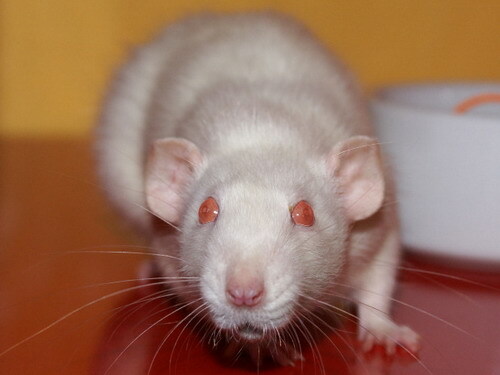 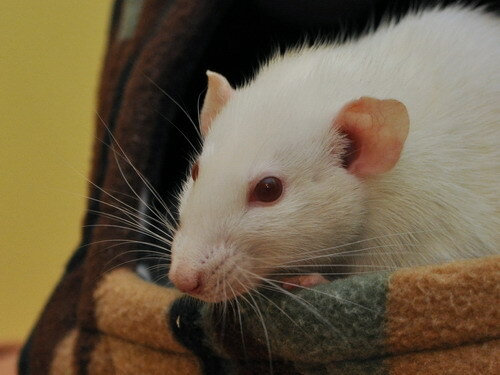 It's very possible that the boys she was found with were really her babies and that she hasn't had any experience of adult rats, which would explain a lot of her behaviour. 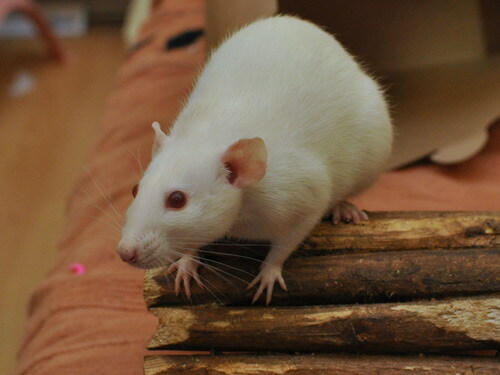 However, she was the best big sister imaginable to Tusk and Umbra, and is now living happily with Tony and Tusk (as Umbra tragically passed).